The ACLAIIR AGM & Seminar 2014 will take place in Cambridge on Tuesday, 17 June 2014, so put the date in your diaries! Watch this space for more details about the programme and seminar topic. 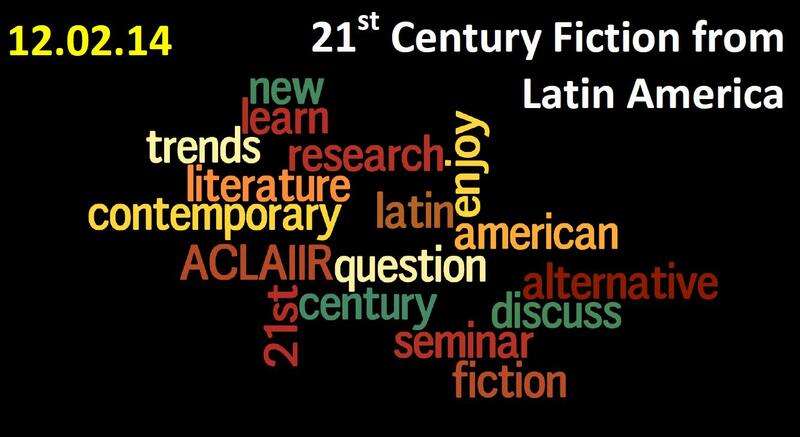 The programme for our forthcoming seminar on 21st century fiction from Latin America is now available on our Events page, along with the registration form. Join us to discuss current trends in Latin American fiction, and find out about new research in the field. Topics include translating Latin American fiction, the contemporary Cuban novel, digital media and new literary genres, and alternative literary formats such as the graphic novel. There will also be discussions on collecting fiction from Latin America in UK libraries, and the landscape of the UK market for Latin American fiction. 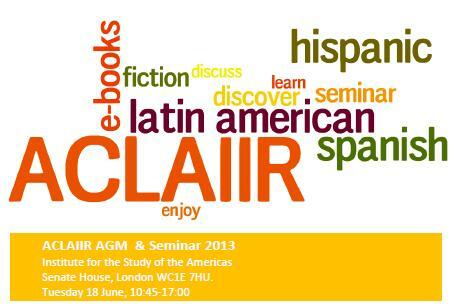 This is an ACLAIIR event in collaboration with the Institute of Latin American Studies, the Institute of Modern Languages Research, and the Instituto Cervantes in London. We look forward to seeing you on 12 February 2014! The Directory of Audiovisual Resources has recently been updated to include the latest additions and information regarding libraries with audiovisual collections in the UK. Many thanks to Sonia Morcillo-García for creating and maintaining this very useful directory. Do you have an idea for an ACLAIIR project? Get in touch! For those of you that missed the ACLAIIR AGM, or want to remind yourselves of the topic, all the speaker presentations (PowerPoint format) are now available on the Events page. Many thanks to all our speakers and to everyone that attended. It was a really enjoyable and successful day!